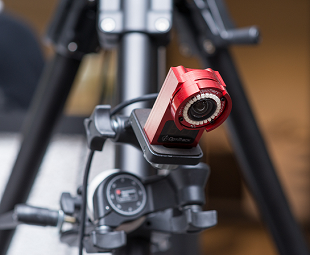 Choosing an appropriate camera mounting solution is very important when setting up a capture volume. A stable setup not only prevents camera damage from unexpected collisions, but it also maintains calibration quality throughout capture. All OptiTrack cameras have ¼-20 UNC Threaded holes – ¼ inch diameter, 20 threads/inch – which is the industry standard for mounting cameras. Before planning the mount structures, make sure that you have optimized your camera placement plans. Camera clamps are used to fasten cameras onto stable mounting structures, such as a truss system, wall mounts, speed rails, or large tripods. There are some considerations when choosing a clamp for each camera. Most importantly, the clamps need to be able to bear the camera weight. Also, we recommend using clamps that offer adjustment of all 3 degrees of orientation: pitch, yaw, and roll. 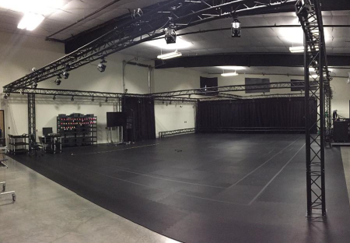 The stability of your mounting structure and the placement of each camera is very important for the quality of the mocap data, and as such we recommend using one of the mounting structures suggested in this page. Large scale mounting structures, such as trusses and wall mounts, are the most stable and can be used to reliably cover larger volumes. Cameras are well-fixed and the need for recalibration is reduced. However, they are not easily portable and cannot be easily adjusted. On the other hand, smaller mounting structures, such as tripods and C-clamps, are more portable, simple to setup, and can be easily adjusted if needed. However, they are less stable and more vulnerable to external impacts, which can distort the camera position and the calibration. Choosing your mounting structure depends on the capture environment, the size of the volume, and the purpose of capture. You can use a combination of both methods as needed for unique applications. 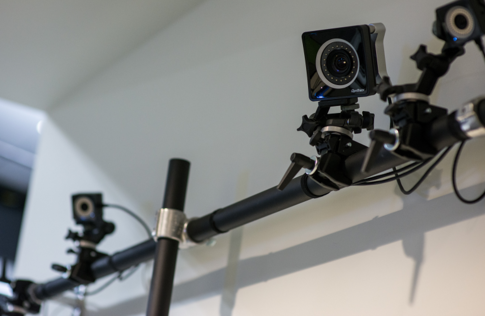 Choosing an appropriate structure is critical in preparing the capture volume, and we recommend our customers to consult our Sales Engineers for planning a layout for the camera mount setup. 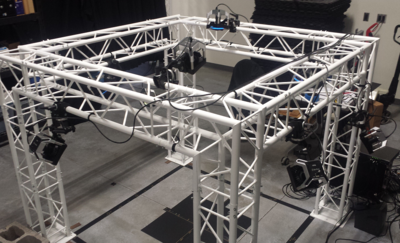 A truss system provides a sturdy structure and a customizable layout that can cover diverse capture volume sizes, ranging from a small volume to a very large volume. 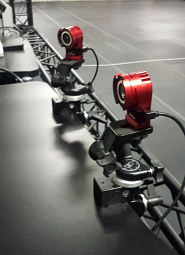 Cameras are mounted on the truss beam using the camera clamps. Follow the truss installation instruction and assemble the trusses on-site, and use the fastening pins to secure each truss segment. Fasten the base truss to the ground. Connect each of the segments and fix them by inserting a fastening pin. Attach clamps to the cameras. Mount the clamps to the truss beam. 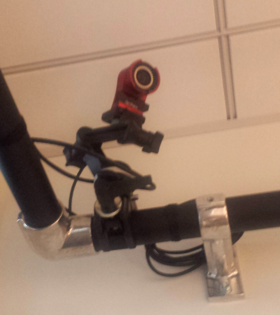 Wall mounts and speed rails are used with camera clamps to mount the cameras along the wall of the capture volume. This setup is very stable, and it has a low chance of getting interfered with by way of physical contact. The capture volume size and layout will depend on the size of the room. However, note that the wall, or the building itself, may slightly fluctuate due to the changing ambient temperature throughout the day. Therefore, you may need to routinely re-calibrate the volume if you are looking for precise measurements. Securely install the wall mount and the speed rail on the desired location. Attach the clamps to the rail. Prime cameras mounted onto a speed rail. Flex 13 mounted onto a speed rail. 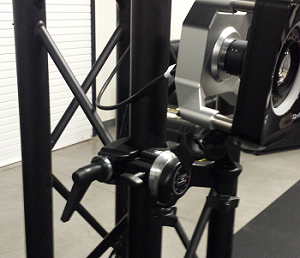 Tripods are portable and simple to install, and they are not restricted to the environment constraints. There are various sizes and types of tripods for different applications. In order to ensure the stability, each tripod needs to be installed on a hard surface (e.g. concrete). Usually, one camera is attached per tripod, but camera clamps can be used in combination to fasten multiple cameras along the leg as long as the tripod is stable enough to bare the weight. Note that tripod setups are less stable and vulnerable to physical impacts. 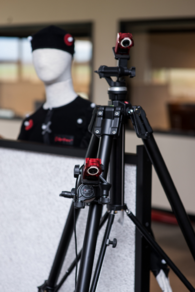 Any camera movements after calibration will distort the calibration quality, and the volume will need to be re-calibrated. Multiple Flex cameras mounted onto a tripod. This page was last modified on 1 April 2019, at 17:15.